Raised in an affirming family, this transgender woman now works to lift up marginalized communities. Lilianna Angel Reyes has never felt like a woman trapped in a man’s body. To her, transitioning from a boy into a woman felt like something very natural. As she matured into adulthood, she simply decided to embrace exactly who she is. Growing up in a tight-knit Mexican family with her parents and older brother, Reyes was shaped by principles of faith and feminism. She witnessed racial tensions in her hometown of Saginaw, but also saw her parents’ acceptance of others, including their gay friends. Reyes was raised to believe you can do anything you want in life if you work for it. I had a healthy childhood — very loving and affirming. I was allowed to express myself however I wanted, whether I was playing with dolls or trucks. My parents just saw them as toys. I was raised with a lot of love and strength. Reyes would put on her mom’s makeup and wigs when she wasn’t home, knowing it was forbidden but never thinking at the time that she’d do it as she got older. She admits she always felt very feminine, even though she hung out with the boys in her neighborhood. After graduating from high school at 17, Reyes says she had an awakening at Cedar Point. I met my first transsexual. I met drag queens. I met so many people I never knew existed — a world tucked within a world I didn’t know existed. I worked at Cedar Point for the summer and did drag until I started college. That’s where I started figuring out who I was. I liked being a drag queen but I wasn’t sure I could do it every day. 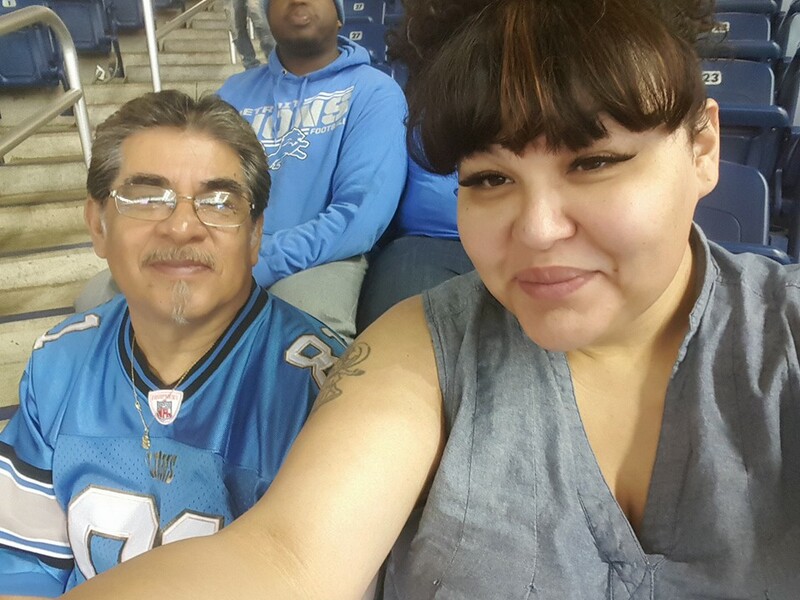 While she was attending University of Michigan-Flint, Reyes lived at home. One week after her 18th birthday, her mother found all her “girl clothes and makeup,” as Reyes puts it. Her mother called her brother, who was quick to defend Reyes. Reyes expected her father to take the news much harder than her mother, but the exact opposite happened. It’s not that she thought either of them would be judgmental — and they weren’t — but they each responded in surprising ways. Her mother had a much harder time coming to terms with the revelation. Reyes says she “was not okay with it” at first, but mostly because she didn’t understand. After a few weeks, the tension between them was too much to bear and Reyes moved in with her brother. After that, she had very little contact with her mother and father for the next two years — even though her father would fill up her gas tank and give her money every week. During those two years, Reyes’ mother slowly came around and learned to value her for the woman she is. My mother always wanted a daughter, so she began to love the fact that we could share some clothes and I’d do her hair and makeup. In the end, she felt like ‘I would rather gain a daughter than lose a child completely.’ She became a huge advocate. Reyes transitioned during those two years, and by the time she was 19 years old she was legally female. She changed the gender marker on her state identification and her name — the only thing her father ever pushed back on. In the meantime, Reyes studied hard in college. She says she always felt she had to work that much harder because she’s both transgender and a person of color. She has a bachelor’s degree in anthropology, sociology and history — with minors in international and global studies, and women’s and gender studies. She went on to earn a master’s degree in public administration focused in nonprofit leadership, and is also a certified substance abuse prevention specialist. She considers herself privileged, because unlike many transgender people, she’s always had a job. They’ve all been in the social justice arena: Reyes has worked at Planned Parenthood, and has served many oppressed communities by working to create positive change in the areas of domestic violence, racism, HIV and substance abuse. 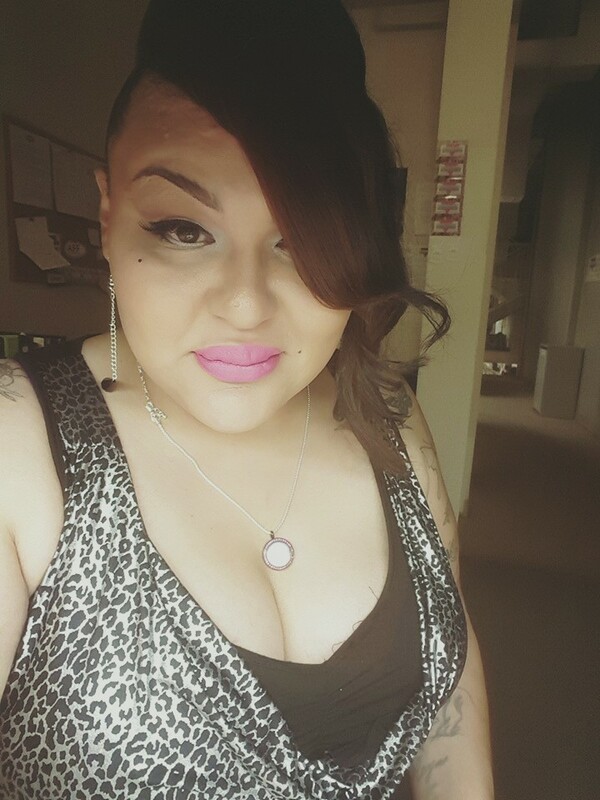 Reyes is also a founding mother of the Trans Sistas of Color Project, and believes understanding and dissecting the high level of murders of trans women of color to be a critical area of focus. It’s easy to lump everyone together in one cause — trans rights. Trans people, in general, are going to feel some type of marginalization. But when you add racism, poverty and lack of education, it looks much different. It’s important to show the diversity of trans people. We’re not hearing the voices of young trans people of color. They’re getting killed at higher rates than other trans people. More Latina trans people have been killed than any other population in the world. In the U.S., it’s black trans women. When we talk about trans disparity we talk about bathrooms and name changes and that’s all important. But it’s a privilege to say you want to use the bathroom. There are trans women who never get that chance because they’re murdered. Having worked her entire adult life to make the world a better, safer place for LGBT people and others, it’s no surprise that the 30-year-old Reyes works as the Youth Program Manager at Affirmations in Ferndale. She describes her role as sustaining, creating and evaluating new programs working with youth. Reyes feels a special affinity for marginalized youth and those with higher health disparities, such as young people with HIV/AIDS or disabilities. She has created two curriculum-based, evaluation-driven programs. One is a workforce program for youth ages 13 to 24, teaching them both soft skills, such as resume writing, and hard skills, such as running the café at Affirmations. This program is conducted in conjunction with local companies and nonprofits, which send some of their top leaders to work with the program’s participants. The second program is a leadership program for youth ages 13 to 20. In this program, young people learn about societal issues facing LGBT youth, and includes activities ranging from working with art advocates to hosting Affirmations’ youth prom and HomoComing. According to Reyes, the programs have a 100 percent retention rate, with youth committing six hours a week during the six-month programs. There’s also a drop-in center on Friday and Saturday for youth ages 13 to 20 who aren’t ready to make a commitment but want a safe, affirming space to spend their free time. She adds that society has always made life challenging for LGBTQ youth, but it’s harder than ever today. With all the new movements that are pushing toward equality, it’s starting to make visible the invisible hatred that’s always been there. But now we’re paying more attention. We have more support now. Youth are having a space to be vocal and we’re seeing organizations being allies to youth more than ever. Reyes points out that youth and all LGBTQ people have many resources in Michigan, including Affirmations, Ruth Ellis Center, Equality Michigan, and the Trans Sistas of Color Project. “You can get anywhere with those resources in Michigan,” she says. Knowing how vitally important it is to have the support of family and friends, Reyes is passionate about lifting up everyone in the LGBTQ community. Rather than “tolerance,” she believes in embracing and celebrating people for who they are as a way forward. Note: The interview for this story was conducted before the massacre at the LGBTQ Pulse nightclub in Orlando.